By now you’ve heard a lot about the new Google Chromecast. But none of it is important. You’re going to get one – it’s just that good. You’ve already heard about the surprise launch, almost an afterthought considering we were all anxiously awaiting the new Nexus 7 tablet. You’ve heard about it selling out from both Best Buy online and Amazon in a matter of hours. You’ve heard about the three month offer from Netflix that ended suddenly. You’ve heard that you can get Netflix and YouTube on your Xbox, PS3 or even a lot of Blue-ray players out there. And you’ve heard the cries of those in the Android community that this is really no different than any other Android PC stick or streaming media player on the market. But again, none of that matters. Let’s be honest: The free three months of Netflix didn’t make much impact in anyone’s decision to buy the Chromecast – and it shouldn’t. There was a huge outcry that ‘Google botched another product launch’ or ‘Netflix did a bait and switch.’ It’s all been blown a little out of proportion. Yes, I would have liked to see a definite limit or end date publicized for the promotion, but that could just be the former retail clerk in me speaking. I can see how this could have caused a lot of customer service issues. But, all of that aside, the offer doesn’t make a difference at all. There were numerous sites and bloggers saying that, with the three free months, the actual cost of the Chromecast was really $11. Is there arguably any less value in the Chromecast at $35 than $11? If you can’t see that even $35 is a steal for this technology, then please, click away from the page now. You’re in the wrong article. Isn’t this just another Android PC stick? In short…no. The Chromecast is more similar to streaming media players like the Roku than Android stick PC’s. The Chromecast runs a modified version of the Google TV OS (although there are some reports that it runs a modified Chrome OS). It doesn’t run a full version of Android, so it’s not going to have the same abilities – and that’s not a bad thing. When we reviewed the Rockchip MK808B recently, we were amazed at the versatility of the device. It can run any Android app that your smartphone or tablet can, and on a bigger screen. All that versatility comes at a cost though. Bootup is not quick. To be honest, my Windows PC with an SSD hard drive boots up faster than the MK808B. The Chromecast is the opposite. It is simple in design and streamlined in operation. Boot time is in the order of seconds, not minutes. Streaming a video from your tablet or smartphone is almost instantaneous, depending on your network speed. But, for that performance, you get a much simpler device in terms of functionality. 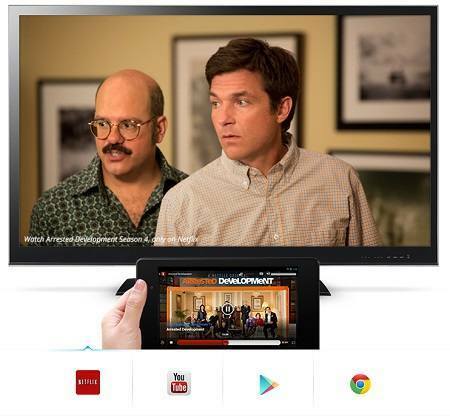 All the Chromecast does is stream videos from Netflix, YouTube and the Google Play store. But it does it seamlessly. We’ve already done an unboxing video so you can check out what’s included in the package. We’ve seen a setup video from IGN which describes the process as “a hassle.” We couldn’t disagree more. For the Chromecast review, we used a Nexus 7 tablet for setup and found it to be incredibly easy. There is an app in the Google Play store which will take you step by step through the process. I use the phrase ‘step by step’ because there really are only two steps, once the app is launched. First, the app will scan your wireless network for any Chromecast devices it can find and display a confirmation code for each. Second, add in your wireless network password so it has access to your network. Third…wait, there is no third. OK, Third: Watch the intro video because it’s pretty cool. That’s it. I’d say it was a five minute setup process, but four minutes of that was spent getting to the back of my TV, plugging the Chromecast into the HDMI port and plugging in the USB power adapter. Our test TV doesn’t have a USB port so I wasn’t able to test that functionality. 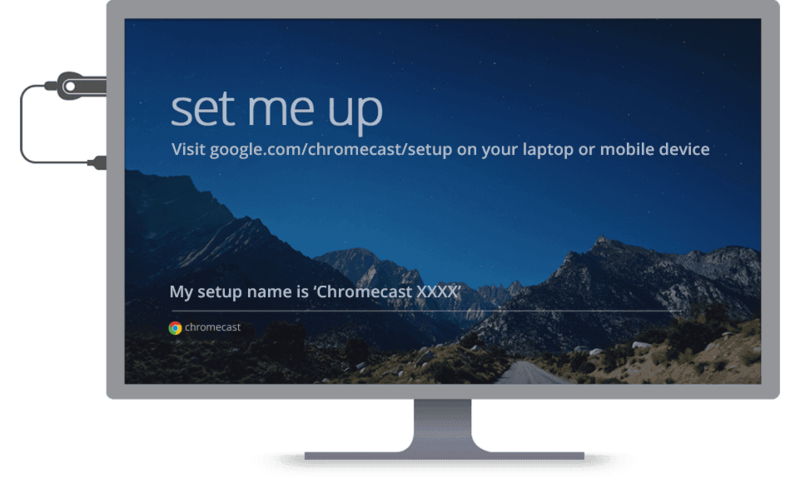 During the Google launch demonstration, they showed the Chromecast being able to turn on the TV and setting it to the correct input. Unfortunately it appears that this functionality only works if the TV has a USB port and the Chromecast is connected to that port as well as through HDMI. Chromecast Review: You gotta see this! The beauty of the Chromecast is in the “You gotta see this” factor. Stop to think about how many times you’ve been handed a friend’s phone or tablet just to watch a video on YouTube. Netflix and YouTube account for almost half of the videos being played over the internet. That in a nutshell is what the Chromecast was built for. This device has one simple purpose: to play that cool video on a big screen so you can share the experience. In that purpose, Chromecast hits it out of the park. Chromecast Review: Simplicity…or… Remote? What remote? One of the main goals of the Chromecast device team was simplicity across platforms. 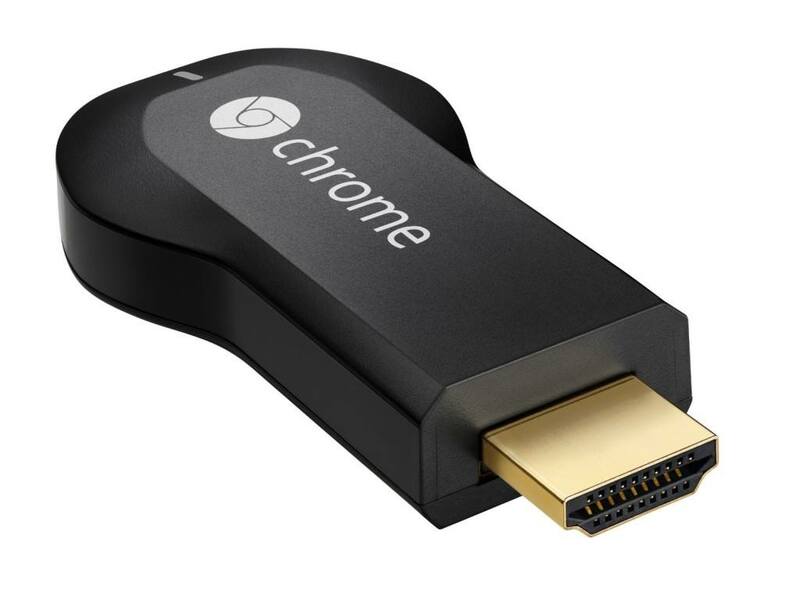 To the Chromecast, it doesn’t matter if you’re using iOS or Android (no Windows phone yet). It doesn’t matter if you’re with your friends and there are five other devices connected to your network. Chromecast will integrate with them all. This has the potential of creating a little competition for the control of the TV, but we’ve been dealing with that for as long as we’ve had remotes. It’s easy to recommend the Chromecast. For what it is, it’s an almost perfect device – and it’s only going to get better as more content providers come online. In terms of price, it’s a good value at twice the price. At $35, buy it now – it’s just too good. Great article . For those who live outside US like me, you can access Netflix, Hulu and similar media stations on your Chromecast by using UnoTelly or similar tools. That looks like a pretty cool service. Even for those of us inside the US that want to get content from other countries.